Grading is the assessment of SPSS Registered ponies and small horses (up to 158cm) to see if they meet the standards for acceptance into the SPSS Studbooks. 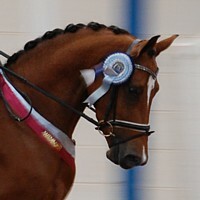 At least one Grading is held each year, normally in October at Heart of England Equestrian in Staffordshire. Progeny of SPSS graded parents can be registered with the SPSS and given either blue (2 graded parents) or cream (one graded parent) papers/passport. In 2010, as well as the Main Grading and In-Hand Premium Show (16/17th October at Heart of England Equestrian, Staffordshire - click here for more information) there will be a Mares only grading in Cornwall on Sunday 15th August 2010. Times will be published here a few days before the Grading. 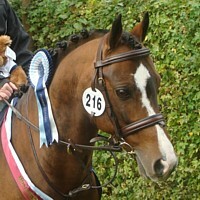 Click here for article about the Heart of England 2004 Grading - including tips on how to prepare your pony for grading. Note that mares in foal or with a foal at foot are not required to loose jump or be ridden. In addition, competition results are taken into account as well as performance on the day. Stabling at stallion grading (if required) will be payable directly to the venue and will be according to costs of location. Any stallion that is successful in the grading will need to be DNA parentage tested at the owner’s expense (cost around £55.00) before any of their progeny can be issued with SPSS papers. 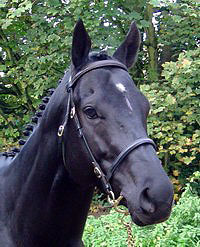 In order to complete the grading process successful stallions will also be required to provide a veterinary certificate of freedom from hereditary disease and must also submit up-to-date annual certificates of freedom from venereal disease and infection according to current BEVA guidelines every year before the start of the covering season. Stabling at mare grading (if required) will be payable directly to the venue and will be according to costs of location. The 2009 Gradings and In-Hand Premium Show took place on the 10th and 11th October and are reported on, with full results - here. The 2007 SPSS Mare & Stallion Gradings were held over the weekend of the 13th & 14th October at Heart of England Equestrian, Staffordshire, by kind permission of Claire Ballantyne. Click here for results. After the Mare Grading, on Saturday 13th Oct, there was an In-hand Premium Show with classes for Mares and Youngstock (foals to three year olds). This was a chance to have for members and non-members to have their ponies assessed and for temporarily licensed stallions to show their progeny. 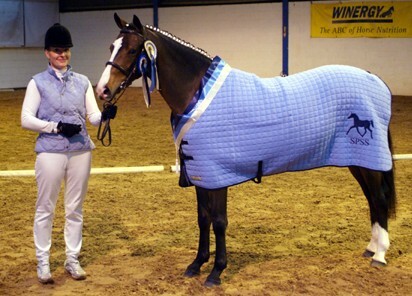 The 2006 Stallion and Mare Gradings were held at Heart of England Equestrian on the 21st and 22nd October. Of the 7 stallions forward, 5 passed and have been accepted into the studbook. 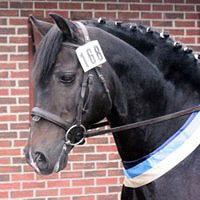 The highest scoring stallion was the 4 year old Thoroughbred, Arnie de Burgh, who was racing successfully on the flat until a few weeks earlier and was viewed by the judges as a good stallion for producing event ponies. The other successful stallions were Salvador AP, Acado, Rughavens Jackpot and Magic Gold GF. All 13 of the mares who attended the Mare Grading were accepted into the SPSS studbook and the judges commented on the excellent standard of mares forward. The highest scoring mare overall was the 2 year old Wurlitzer filly, Wurlibird. Unfortunately, as her dam is of unknown breeding, Wurlibird goes into the Preliminary studbook. The next highest scoring mare was the 12 year old, former Dutch Team Show Jumping pony, Oude Tempels Micky who was graded into the Head Studbook and also awarded Elite status in recognition of her outstanding competition career to date. At the 2005 Grading, 8 stallions passed even though the mark required was raised to 75% - this shows the quality of stallions forward. In addition, 9 mares graded including the European Eventing Team Bronze medallist in 1996, Sapphire Blue, who was awarded Elite status in recognition of her outstanding competition record. This lovely mare is now in foal to Mill Law. At the Spring 2004 Grading one stallion and 2 mares were graded. At the Autumn Gradings, a further 7 stallions were graded or licensed including the 134cm BSJA pony Grey Palace who was awarded SPSS Elite Status in recognition of his outstanding jumping career. In 2003 a total of 6 stallions and 16 mares were graded into the SPSS studbooks. 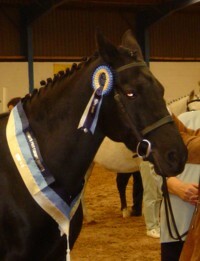 Binghams Celebration - winner of Grading at New Priory Stud 2001. Westbrink Classic - winner of Grading at Heart of England 2001. 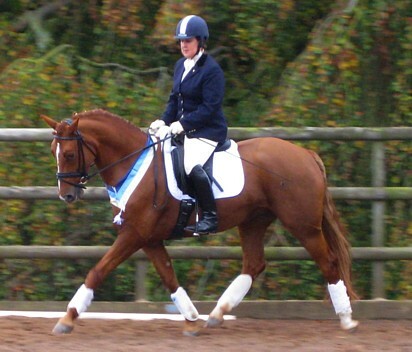 Maelor Midora - winner of Grading at Heart of England 2001, now an Elite SPSS mare having represented GB. The 2001 Heart of England Grading was judged by Herr Timo Coldewey and Mrs Celia Clarke.